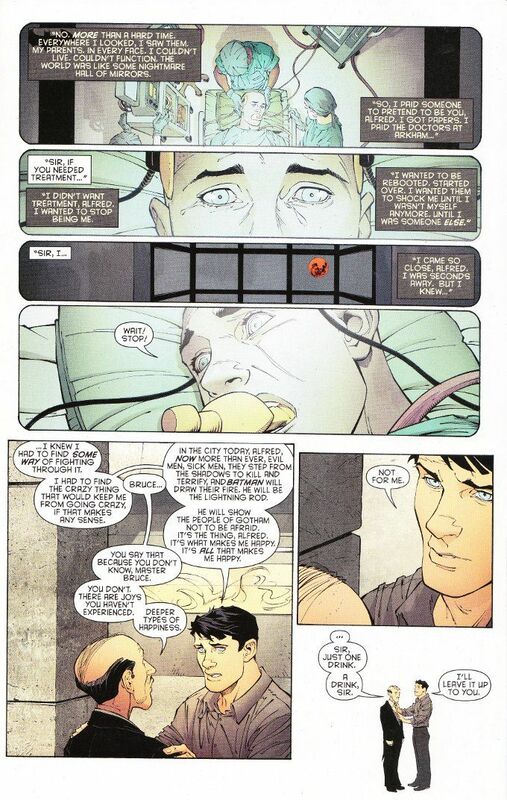 Having read Batman #33, I cannot envision a more perfect comic with which to mark Batman's 75th anniversary. Not only does it prove an epic conclusion to the Zero Year and Savage City storylines but it also proves a celebration of everything that makes a good Batman story. 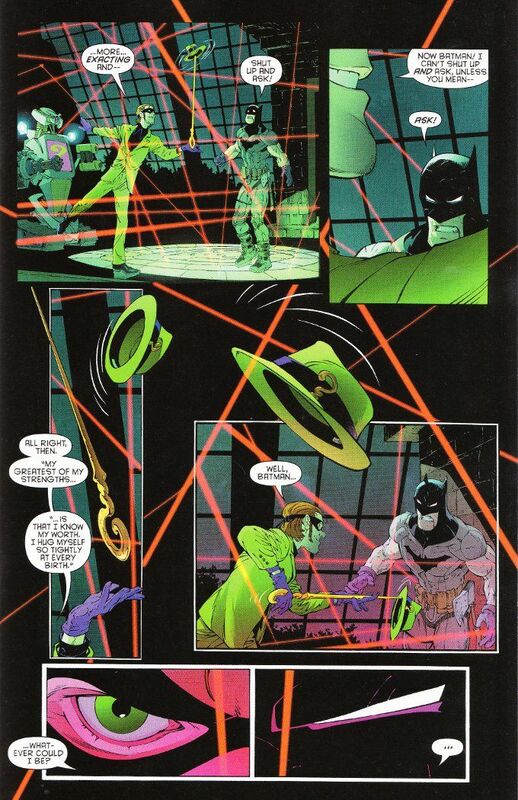 We even get a new origin for The Bat-Signal in the bargain and get to see The Riddler defeated in a way that does nothing to mitigate his brilliance or his new-found sense of menace. Scott Snyder's script pays tribute to the rich history of Batman while simultaneously exploring new ground. While the concept that Bruce Wayne may be as crazy as the villains he faces each night is nothing new, Snyder explores the mental depths to which Bruce Wayne has truly sunk as no writer ever has. Fans of the theory that Bruce Wayne is another victim of the madness that envelopes Gotham City and those who see him as one who has taken up the idealized path of the knight errant in the modern day will both find evidence to support their viewpoints in this story. In a word, the artwork by Greg Capullo and Danny Miki is excellent. Unlike the vast majority of Batman art teams in recent years, Capullo's pencils are light and airy and Miki's inks match them perfectly. This is one of the brightest-looking Batman comics in history and that uniqueness makes it stand out all the stronger in a series where the artwork is usually drowned in ink. This book should be on every comic-lover's pull list.